As more and more people begin to approach their decisions with greater awareness, the demand for sustainable options to traditional products has grown exponentially. The furniture industry is no different in this regard, and many sustainable furniture providers have sprung up to help fill the gap. Thanks to this surge of interest on sustainable consumer goods, finding sustainable living room furniture has never been easier. There are a lot of options out there for people looking for more sustainable furniture options. Several great brands are out there selling their own unique sustainable furniture options on a national level. Zanat is a subsidiary of the Bosnian furniture company "Rukotvorine", which translates into "Handcrafts". It is based in Washington, DC and is absolutely dedicated to the continuation of its family tradition of exquisite craftsmanship and sustainable development. Founded in 1927, the company has made a point of not toeing the line when it comes to the modernization of their facilities. The techniques used to craft the sustainable furniture here are sometimes centuries old and lead to the creation of truly unique heirloom furniture pieces. Reviewers at the Mother Nature Network rave about the quality of the furniture made by Zanat. In terms of sustainability, Zanat truly is dedicated to sustainability. The company takes issue with other brands that simply piggy-back onto the "green" or "eco-friendly" buzz words that have gotten so popular over the past few decades. Zanat's connection to sustainability runs much deeper than the petty drive to appeal to "eco-friendly" consumers. Responsible forest management and ethical sourcing of materials for their furniture is absolutely at the core of what makes this company what it is. The sustainability article on their site goes into extreme detail on the company's ethics in regard to sustainability. Suffice it to say: they are committed. Zanat's lounging collection is a perfect glimpse at what this company is all about, and these pieces are a perfect addition to any sustainable living room furniture arrangement. The pieces include sofas, side tables, end tables, showcases, and more. Made out of sustainably-sourced walnut wood, the items in this collection are built to last for generations. Though they are definitely utilitarian pieces in terms of their longevity, this doesn't mean that they aren't also elegant. The pieces in this collection are undoubtedly gorgeous by any standard. Many of the pieces were designed by an independent design firm. Companies that carry Zanat online include Archi Expo. You can also visit stores in New York to find their elegant pieces in the United States. Inquires can be sent to the company if you cannot find what you're looking for online or in person. Pricing is available through the online retailers or by contacting the company. The Furnature furniture company has been around since the early 1990s and is comprised of four generations of highly-skilled furniture crafters. 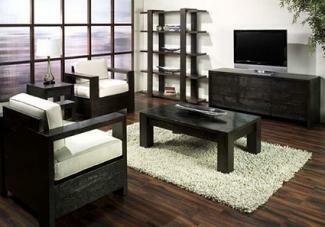 Furnature is a popular brand for people who specifically seek out organic sustainable furniture. Furnature has the unique distinction of being one of the few organic furniture manufacturers operating on a larger scale in the Untied States. Organic furniture is unique in its construction since it contains no artificial dyes, no chemicals, and is upholstered using organic materials such as organic cotton. Every material that goes into the construction of furniture at Furnature is specially selected and has never been treated with harmful pesticides or other chemicals. This can help people with extremely sensitive skin or really bad allergies live in a more comfortable environment. In fact, Furnature lists every piece of material that goes into its offerings and even goes into great detail on how the materials are processed. The Polo by Furnature is a popular option on the Furnature site, and it is reminiscent of many different furniture models you can find in just about any store on Earth. Of course, this refers only to its overall "look" since the materials used are of a significantly higher quality and adhere to Furnature's strict purity policies. Shoppers can select from a number of non-VOC wood finishes and organic materials for upholstery. In addition to the sofas, chairs, ottomans, and other furniture designs, you can also request a custom order from the company. Contact the company via telephone or email in order to learn pricing, options for their furniture items, or to request a custom piece. Urban Woods is a Los Angeles-based sustainable furniture company that specializes in reclaimed-wood furniture designs. The company gets excellent customer reviews from sites like Houzz.com and Yelp.com for its great customer service and dedication to quality. The company sources all of its materials through sustainable sources and is proud of the fact that no trees are cut down to provide wood specifically for their furniture. All of the wood used in the furniture made by Urban Woods is reclaimed from local sources around the Los Angeles area. This wood could come from construction projects, building demolition or other sustainable sources. In fact, all of the materials they use come from sustainable sources that have been verified by the company. Urban Woods goes a step ahead of its competition by clearly laying out its reasoning for choosing sustainable furniture production and making its policies very clear. The Melrose Collection by Urban Woods is the only collection by the company that is dedicated solely to living room furniture. It is made out of fully reclaimed wood and the seats are upholstered in organic cotton. The credenza has been pre-drilled in the back to accommodate for the cables and wires you'll need for your media devices. Additional pieces currently include a matching bookcase, coffee table, and end table. The entire set has a very chic, very modern design. To purchase a piece from the collection and learn pricing information, contact the company via email, telephone, or fax. For a wide variety of sustainable furniture choices, look into a retailer that carries several lines from different brands and designers. Once such retailer is 2Modern. 2Modern sells a lot of different types of furniture as one of the top furniture retailers on the Internet. They sell everything from kitchen sets to modern office furniture and living room sets. Their Eco section is full of many different sustainable living room furniture options as well, with over 60 sustainable furniture brands being represented in their inventory. The furniture of many of the sustainable brands represented on 2Modern are high-value modern designs. 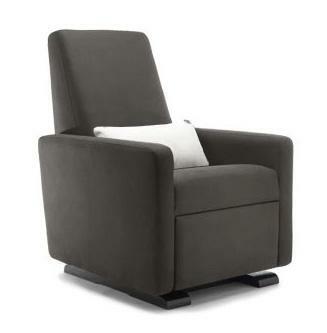 The Grano Glider Recliner by Monte is a great example of the aesthetic offered by most sustainable brands at 2Modern. The recliner is made out of 80% recycled leather, bound over a PBDE and CFC-free soy-based foam. It retails for over $1,000, with the final price dependent upon the options you choose. The Bird Lounge Chair by Knoll is another good seating choice. Created using bent rods and designed by Harry Bertoia in the 1950s, it is a fabulous seating piece as well as conversation piece. It is GreenGuard certified and retails between $2,600 and up, depending on options chosen. The Legare Sustainable End Table is made from sustainable bamboo. It is simple to put together and when the surface becomes worn, it can be turned. The end table retails for less than $200. 2Modern enjoys a great reputation online, with customers commenting at BizRate about their efficient, stylish furniture and good customer service. They also have an A+ rating from the Better Business Bureau and have been accredited since 2011. Price: Few retailers will put their prices on their company website, making it difficult to ascertain whether you can afford the pieces you desire until you contact the company or seek out a third-party retailer. Additionally, some of the pieces will run significantly higher than typical furniture pieces found at large retailers made in the traditional manner. Availability: Once you find a sustainable furniture piece, it may not be available in your area, or you may need to have it shipped to your home for a fee. Limited options: The furniture collection or collections offered by sustainable retailers may not be a complete living room. Instead, it may be accessory pieces, like end tables and coffee tables, or it may be only seating options, like sofas and chairs. You're not alone in your desire to find furniture options that are more ethically and sustainably produced. As the number of people demanding this type of furniture grows, expect a larger pool of companies to buy this type of furniture through in the future. While many of these options are a bit on the expensive side, it's important to note that they are also often heirloom pieces that will last you forever if treated properly.